EEBA Site Supervisor Certification is a one day course that covers how the knowledge, processes, and best practices gained from building science apply to site supervisors for residential construction projects. Similar job titles for a site supervisor include project manager, construction site manager, foreman, and field superintendent. All participants will be encouraged to raise questions, share their perspectives, and offer examples from their job sites. We will focus on actual job-site and real-world applications and the resulting value added to the company, the job site, and the consumer. Broad topics will include the following: Building science fundamentals Whole building integration, Building testing, and Quality Management. Applying experience from the job-site to integrated design Attendance and completing and passing a quiz at the end of the course will result in EEBA certification. This course is consistent with guidelines developed by the U.S. Department of Energy for building science education. Based on years of field research from the US Department of Energy's Building America Program, Houses That Work™ delivers education based on that experience for improved building performance and increased profitability. The climate-specific content includes measurement tools, design concepts, application demonstrations and case studies. Houses That Work™ is the nation's leading turn-key solution for educational training and outreach. Houses That Work education provides attendees with ways to improve the performance, efficiency, durability, safety and health of the homes they build, making them a better value for their customers and incorporating GREEN practices into their business formula. Builders vs. Buyers: What’s real, what’s imagined, and what’s the way forward? Good News! If you were to map out a profile of the typical American buying homes today and lay it next to a profile of the typical person who wants a greener, more energy efficient home, the profiles would be extremely similar. The truth is, today’s buyer wants control, comfort, quiet, beautiful light, consistent temperatures and freedom from fear about chemicals/toxins/indoor air quality. But you’ll almost never hear them say, ‘I want a green home.” The benefits they’re after ARE the benefits of a green home…they just don’t talk about it that way. Despite that, builders often believe consumers don’t want green homes and don’t want to pay for them. And as building codes in California continue to become more stringent and seemingly unattainable, builders across the country are watching the West Coast for a glimpse at what may be heading their way. Whether or not these new regulations can be met is anxiety-inducing enough, but are consumers willing to pay for the cost of compliance? So let’s dig into the data, uncover the realities and find the ways forward. Professional Builder Magazine and Shelton Group joined forces to discover builders’ perception of what homebuyers truly want. They conducted a survey of EEBA members and Professional Builder readers to gauge both their understanding of the consumers’ willingness to pay for more sustainable homes and their understanding of California’s Title 24. Shelton group polls Americans on a an ongoing basis and hears directly from consumers in the market for a new home about what they actually want. In this session, Suzanne Shelton will present the results of Professional Builder Magazine’s survey and compare those to Shelton Group’s national Pulse® data of what consumers actually think and what they’re willing to pay for. You’ll gain valuable insight into what’s real, what’s imagined, and what your features and story must be so that you can sell sustainable, beautiful, and code-compliant homes. Two identical multifamily buildings were built side by side in Midland, MI (CZ5) to compare different construction strategies designed to exceed energy code requirements. This case study compares 2x4 continuous insulation (ci) against 2x6 cavity only insulation. The study also compares Frost Protected Shallow Foundation (FPSF) to footing and stem wall foundation. Data will be presented on cost of construction methods, hygrothermal performance of wall assemblies and energy transfer. ZNE Homes for All: Perspectives from ZNE Homeowners Who Don't Know what ZNE Is. This presentation will give an overview of Southern California Edison’s involvements with ZNE homes in the California market, and will share how SCE has worked with industry leaders to unearth meaningful analytical findings as well as anecdotal insights. Perspectives from willing homeowners will be shared to shed light on the ZNE market at large. Lastly, in this presentation SCE will describe how this information and work are being used to refine existing customer offerings, and to broaden customer participation in a collective clean energy future to help meet the state’s aggressive and visionary climate action goals. This panel and Q & A features leading Title 24, Passive House, LEED, and DOE experts. They will share the limitations of current codes and the impact standards and codes will have on the future of the home building industry. Attend this session and join the discussion and this thought provoking analysis. Affordable multi family construction poses both unique challenges and opportunities for indoor air quality and energy, water, and material efficiency. While scheduling and cost often dictate specifications, many finance authorities require demonstrated efficiency for funding. Using three case studies this presentation will demonstrate from design through construction how this developer progressively improved with each consecutive affordable housing development. From The Heights at Darien which were barely Energy Star certified to Crescent Crossings which is Energy Star plus Indoor airPLUS to the Passive House Designed developments in Hartford and Bridgeport this session will demonstrate how to move design and construction to high performance. We will review modeling tools and predicted savings as compared to actual consumption and demonstrate the evolution of getting to Net Zero. For many years EEBA has been a source for building science training and education. Thanks to building science pioneers, investment from the US Department of Energy and the US Environmental Protection Agency we now have the technology to build high performance homes. The remaining “last mile” on the journey of bringing high performance homes to mainstream home buyers is how to identify buyers, effectively communicate the value proposition of high performance homes and closing the sale. Over the years great work has been done by DOE and EPA and their consultants to help builders deal with this challenge. Now builders have developed a track record with what works and what doesn’t. Learn from people on the front lines with customers. What’s that you say? Pecha Kucha what? PechaKucha is a way of sharing powerful ideas in a fast-paced, high-energy format: each presenter gets 20 slides for 20 seconds each (6 min and 40 sec) to get their message across! Alex Glenn hosts an event that makes presentations concise, keeps things moving at a rapid pace, and engages the audience in learning creative ideas or out-of-the-box thinking! In this fun, innovative and informative session, Alex will facilitate distinct speakers as they share their building performance experiences. This PechaKucha will be held immediately following the DOE Housing Innovation Award Ceremony, and will showcase some of the winners as they present their designs and their journey to being on the cutting edge of high performance homebuilding. Have you ever heard advertising claims that said “Upgrade your furnace and reduce your utility bills by up to 30%”? Sounds gimmicky, right? Builders need strong relationships between marketing, purchasing and production personnel in order to develop useful tools for their sales force. Many times, the “Energy Nerds” in the business have powerful ideas that could equate to cost savings, energy savings, improved comfort & durability and cycle-time reduction. No matter how great the idea, presentation is everything. Buying a home is an emotion- based decision. In this course we will first discuss how to calculate whether a specification change will reduce your customer’s true cost of ownership using tools you already have at your disposal. We will then tie that into how your sales force can leverage that information with marketing collateral. We will provide real-life examples of products and methods we have effectively marketed in the past and will provide time at the end for questions. ERI vs. Performance Path: Which is better for the Builder? Let's be real. While the ERI path provides a sales and marketing opportunity for Builders, it requires significantly more from a builder in the 2015 -2018 IECC than the simulated performance path. Therefore, if you are considering a performance path to demonstrate compliance you not only need to have in depth knowledge of all the pathways available to demonstrate compliance, but you need to know what is the most cost-effective way to achieve your goals. This session will ensure you have a precise understanding of the different pathways and an understanding of the most flexible/cost effective means to achieve code compliance. What’s that you say? Pecha Kucha what? PechaKucha is a way of sharing powerful ideas in a fast-paced, high-energy format: each presenter gets 20 slides for 20 seconds each (6 min and 40 sec) to get their message across! Alex Glenn hosts an event that makes presentations concise, keeps things moving at a rapid pace, and engages the audience in learning creative ideas or out-of-the-box thinking! In this fun, innovative and informative session, Alex will facilitate distinct speakers as they share their building performance experiences. This PechaKucha will feature some of the Race to Zero students, who will present their winning designs and show how they will become the next generation of building science professionals through designing zero energy ready buildings. Builders and homeowners who invest in high performance are often frustrated by the resistance of real estate appraisers and agents to recognize contributed value by these assets. This is a barrier to market uptake. Builders and homeowners deserve the certainty that their investments in high performance will pay off. It’s true that real estate pros need training. But we have the opportunity to make a difference here! We in home performance have yet to deliver much data required to support value. Documentation is key and there’s a balance of too little or too much information. Real estate pros are held accountable for the information revealed to them and there are ways we can support their success in understanding and representing high performance homes accurately and fairly. This session will provide insights into the valuation process and how we can and should engage. Will include links to free online tools that can help both home performance experts and real estate pros support value. There are a myriad of energy efficiency technologies available for today’s windows: some improve insulating value, others alter solar heat gain, and some affect both. In the past window energy analysis was dominated by heating, but over the last 20-30 years air-conditioning has become ubiquitous across the U.S. It’s important to advance our understanding how windows effect both heating and cooling. With this knowledge we’ll then investigate window choices for both energy and carbon savings. The national fuel mix for electrical generation is changing rapidly and the best window options can be different depending on your perspective. Take the Ramp, Not the Stairs: Identifying and Overcoming Energy Code Barriers with the Right Support! Energy codes tend to feel like a flight of stairs at the airport when the escalator is broken. You know you have to do it, but carrying your baggage with you doesn't make it look fun...or even possible some days. What if there was a more gradual ramp that would allow you to constantly be taking steps up, without the pain of a three-year cycle "jump" in requirements? While there are no magic solutions, there is a process for identifying code barriers and then overcoming them. In addition, available organizations and resources exist, designed to help builders approach code change with a variety of tools: case studies, compliance briefs, support staff, non-utility incentives, training, and precedence for emerging technologies. Join Dan and Pam as they share some of the current resources available, as well as show some of the new tools under development to help builders, consultants, and trades achieve both escalating codes, as well as standards for voluntary building certification programs. This session will discuss the overall objectives and latest results from a Building America project focused on integrating a new technology for automating the building sealing process in new homes. Demonstrations of the technology have been very successful typically sealing 80% of the sealable leakage in under two hours of injection. The project will provide significant research needed to successfully integrate aerosol envelope sealing into the home building process. The project team is working directly with builders to identify the best stages for incorporating aerosol sealing, from the perspectives of cost, performance, and seamless integration into the construction process. The cost of the aerosol sealing and resulting house tightness are compared to similar group of houses using conventional sealing methods. In addition to producing tighter houses, conventional sealing methods are evaluated to determine whether they can be eliminated or reduced to further improve cost effectiveness. 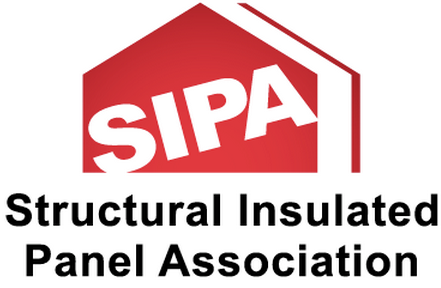 This talk will present the latest results of the sealing demonstrations for builders in California and Minnesota including approaches for both sealed and ventilated attics. There will also be an opportunity to hear about other builder’s experience with the technology on their developments. For too long, the green residential buildings conversation has focused on new construction. Existing homes deserve their day in the sun. This occupied rehab case study illustrates how bit by bit, homeowners transformed a 100-year old home in an urban setting from a HERS Index 173 resource hog into a svelte HERS 59 LEED v4 Platinum residence with emphasis on improved indoor air quality. Managing Director of Sustainable Housing Services at Steven Winter Associates, Inc., Maureen Mahle presents a case study of the 5-year rehab of her own 1915 home, culminating in LEED v4 Platinum certification in March 2018. This case study highlights the tough choices and tradeoffs when energy, ventilation, indoor air quality, and existing building constraints intersect. Maureen will illustrate the easiest and toughest credits for rehabs under LEED for Homes v4, and present a full 5 years of utility data pegged to each major building system upgrade. The session will also include a sustainability professional’s top triumphs and regrets in the quest for a healthy home, in the spirit of learning from our mistakes and embracing continuous improvement. Global climate change has caused increased threat to the built environment by means of flood, tornado, wild fire, extreme temperatures, and increased wind driven rain. Building science solutions to manage the increased threats have a foundation in previous solutions for energy efficiency, durability and sustainability. As new building technologies and innovations are incorporated into the building envelope traditional construction practices need to be adapted. However, as these adaptations of construction practices take place they still need to maintain adherence to basic principles of water management to prevent moisture accumulation in building assemblies and thermal management to manage the comfort of occupants. This presentation will describe how resiliency connects with energy efficiency and durability. The presentation will include a review of the progress of industry standard practice and guideline development on the development of details to maintain air, water and thermal barrier continuity and integrity. The EPA WaterSense Homes program was designed to give consumers and building professionals the ability to easily define and identify high performing, water efficient homes. But the building industry has changed substantially since the program was first introduced in 2009. Based on feedback from stakeholders, years of operational knowledge, and changes in the home building marketplace; EPA is planning a series of updates to the WaterSense labeled homes program that will result in a greater focus on quantifiable water savings, performance, and leveraging new/existing programs in the market. In doing so, EPA aims to increase flexibility and ease of use for the building industry without compromising the efficiency or independent oversight of the certification structure. This interactive session will feature representatives from EPA as well as the Green Builder® Coalition’s Water Efficiency Rating Score (WERS)® and RESNET’s HERSH2O water rating index. The session will highlight the anticipated changes to WaterSense labeled homes, provide a brief overview of each of the existing water rating systems, and include a discussion of how the presenters hope the rating systems will work in concert with EPA’s label for water efficiency. This presentation will present the Greenstone Homes Net Zero Demonstration project the lessons learned in moving a production builder to Net Zero Home building practices. Greenstone Homes is the largest home builder in Eastern Washington. In 2017, Greenstone Homes collaborated with Mitsubishi and Lifebreath to do a Net Zero Demonstration home that was certified as a DOE Zero Energy Ready Home with a solar array. Greenstone Homes made simple modifications to a standard home plan and was able to build a Net Zero home for less than 10% cost increase from its standard build. The HVAC strategy for this home utilized ductless heat pumps and a transfer fan along with an HRV. This home also included a whole home filtration system to improve indoor air quality. The home is fully monitored to assess energy, comfort, and IAQ. With the new Net Zero home building requirements in California, projects like this are valuable to show that Net Zero is achievable by production home builders with some simple and affordable modifications to standard building practices. Health is the new frontier in the built environment. But a building or home cannot begin to be deemed healthy if its building blocks – both the material used for exterior construction and the elements used to build and decorate the interior – aren’t healthy to begin with. Identifying healthy products is made easier with a wealth of new tools and certification programs that are being implemented. But that variety also creates confusion over what each program brings to the table and how that meets the needs of the user. This session will review the different systems in use, identify their main priorities and show how to search for certifications. Attendees also will be given direction on how and where to get additional information. Plus, we want them to give feedback on what other tools would make their lives and jobs easier. Water ratings have been in Santa Fe’s residential green building code for over a year. We’ll take a look at the results to date, from the perspectives of the homebuilders, the Verifiers and the City. Did the builders have to change any of their practices/techniques/product choices? Did the Verifiers encounter any common problems? What do the water efficiency statistics tell us about these new homes? We’ll cover it all, to give you better insight on the applicability of this water efficiency initiative in your area. Today’s building codes provide a strong foundation for building homes to resist hurricanes, floods and other natural hazards, as well as for energy-efficiency, but questions remain about the interaction and integration of those features. This session will explore the importance of resiliency in high-performance home building and design, and take a closer look at current data and trends in voluntary, above-code programs. Presenters will discuss structural failures observed during disaster damage assessments and the behavior of homes during high wind and flood events. By understanding key code requirements, building science principles, flood-hardy and lateral load concepts, home damages by future storms can be minimized and energy efficiency retained. This PechaKucha will be held immediately following the EPA Indoor airPLUS Leader Award Ceremony, and will showcase market leading organizations that promote safer, healthier and more comfortable indoor environments by participating with Indoor airPLUS and offering enhanced indoor air quality protections for their new homebuyers. Historically, homebuilder-based quality assurance/quality control (QA/QC) programs have focused on quality of final finishes and have foregone areas that affect the performance or long-term durability of the home. With decreases in skilled labor, increases in builder liability, and constantly increasing expectations from buyers, Thrive Home Builders decided to take a different deeper look at quality assurance. In November of 2016, under the guidance of IBACOS, Thrive started an internal quality assurance department to ensure quality construction across all aspects of the company and the home construction process. This session will be used to discuss best practices and lessons learned in the implementation of a company-wide QA program and present the benefits of a QA/QC program using examples from Thrive and IBACOS. This study of a Certified Zero Energy Ready (ZERH) 13,000 SF High Performance Custom Home with indoor pool will include planning, implementation and discussion of performance characteristics inclusive of advanced sustainable construction techniques and applied Building Science. The High Performance techiques practiced and results acheived represent the culmination of the builder's many smaller projects scalled-up to meet the client's size requirements. Project results include an incredible HERS 37 (without renewables), 0.32 ACH 50, low water & low energy usage and healthy indoor environment for the owner's family. Learn how the PHIUS Certified Builder combined Passive House & Zero Energy Ready building practices resulting in the project's ultra low carbon emissions & minimal energy consumption. This dynamic session will disprove a common misconception that large homes can't be energy, resource & carbon efficient. Multiple pictures and comprehensive building details will be reviewed. Audience Q&A encouraged following presentation. Supporting multifamily projects with PHIUS+ certification was challenging prior to revisions to the hot water distribution requirements for central distribution systems. This presentation will use case studies to demonstrate the hot water pipe lineal feet and testing 10°F ?T requirements. We will review demand circulation technology for central distribution systems which seem to work fairly well for hot water distribution (referencing Building America's "Control Strategies to Reduce Energy Consumption of Central Domestic Hot Water" report found roughly 10% DHW fuel savings). And review the energy benefits associated with a high efficiency central plant versus numerous in-unit small tanks. One such solution is to solve efficient distribution with demand recirculation control based on both flow and temperature. While this strategy has merit there are concerns with non-continuous operation due to a concern for bacterial risk in HW piping which doesn't have continuous flow but still sees frequent water exchange. It is the presenter’s intent to share challenges and solutions, modeling tools, and examples of verified and measured water and energy savings while investigating the real cost of water. **Ventilation is the most important element of indoor air quality. @No it’s not—source control is much more fundamental. You can’t have a healthy home if it’s full of chemicals and VOCs! **Yeah, but if you don’t have a well-designed ventilation system, VOC’s are the least of your concerns—you could end up with mold all over your ductwork or worse—inside your walls. @Yeah, but what do you mean by “well-designed” ventilation? That totally depends on your climate zone. And what about filtration? If you don’t filter your “fresh” air, how do you know it’s any better in terms of PM? ^^Hey guys, can we elevate this discussion out of the basement. You know in we’re in Radon Zone 1, right? $$You DON’T want to miss this panel discussion—get ready for some IAQ banter at its finest! raditionally, attics have been insulated at the flat ceiling with deliberate venting to manage heat and moisture. Having all the duct air distribution system in the occupied space is the best building science approach, however this is not always the preferable solution for builders that like to use the roof space for air distribution. Ducts in attics are exposed to very intense heating and cooling conditions. Not only do we have thermal conduction, convection and radiation exchanges occurring but important duct leakage losses that create significant energy balance losses. In the recent IECC 2018 code, deeply buried ducts systems with minimal air leakage conditions are allowed to be assigned similar performance to those attics that are sealed (non vented). In this presentation we will describe the field/laboratory and modeling effort undertaken by Owens Corning to quantify the performances of attics and duct systems in a number of climate zones. What was repeatedly found was the attics that had deeply buried ducts with low air duct leakage had excellent thermal performance and exhibited the best overall durability performance. Infrared (IR) imaging allows humans to see in a different spectrum of light. This technology has been used for years to augment building performance inspections. Have you used it on your projects? What did you find, what did it mean, and how did you adjust your specifications or processes for improvement? A picture may be worth a thousand words, but what is your building saying? This session will span 10 years of IR images in cold and hot climates in both new and existing construction. We will use these "Ahh Haa!" images to discuss opportunities to close the gap between the theory and reality of building shells, internal gains, and their impacts on comfort and performance. We'll also keep an eye out for safety and durability issues along the way. Let's dive in! One Trillion gallons. That’s how many gallons of water are wasted each year in North America. At a time when 80% of municipal water utility managers expect a water shortage within the next ten years, that level of water waste is even more staggering than it first appears. In the face of this looming crisis, water conservation has become more than a trending homeowner concern – it’s become an environmental necessity. The good news is that with the Internet of Things (IoT), together with advances in smart home technology, solutions to our nation’s water shortage problem are now available. In addition to looking at how technology is changing how we approach water conservation, this session will also explore the implications, both nationally and globally, of water waste and water scarcity. As a result of a year-long pilot study conducted by Phyn in the creation of the Phyn Plus: Smart water assistant + shutoff, we’ll reveal surprising research-based insights on how, where and why we lose water in home plumbing systems, and look at the monetary implications of these losses. As one of the largest, most extensive water monitoring studies ever conducted — collecting over 1B data points across 10M water events (i.e., toilet flushes, shower and sink flows and irrigation cycles) in 300 homes in 18 states — there is a wealth of actionable information to share. Intelligent water is the next frontier in the connected home, and this presentation will give participants a full understanding of what it means for the future of home building. The goal is to provide a solid understanding of the underlying issues so that attendees can offer customers the best solutions, and to understand how doing so can drive environmental and financial success. Ventilation and Dehumidification Geeks – Are They Full of Hot Air? Mechanical ventilation is the only reliable means to insure adequate fresh air moves through a house to dilute the pollutants. The ASHRAE 62.2 Standard prescribes the amount of air movement required, but it does not prescribe what system should be used to accomplish that flow. Even though the Standard is based on the best available information about indoor air pollutants, it does not address the impact on moisture, radon, carbon monoxide, or other pollutants or the cash cost of ventilation. And depending on your local climate and ventilation strategy, it’s possible to encounter serious issues with excessive moisture and mold if humidity is not accounted for in the design. In this session, you’ll hear from a long-standing member of the ASHRAE 62.2 Committee about the various approaches to mechanical ventilation (e.g. exhaust-only, supply-only, and balanced) and the pluses and minuses of their impact on fresh air and pollutants in homes. This review will be enhanced by field data from a recent study of homes in Virginia on mold and moisture, as well as a discussion of Indoor airPLUS’s recent inclusion of active dehumidification as an alternative for crawl space conditioning in hot-humid climates. Full Day: EEBA's "HERS Associate"
Depending on where you live, how you live, and what’s in your home (e.g. pets, carpets, fireplaces, mechanical systems), your indoor air may be as pretty as a Picasso or as dark as a Dali. And because particulate matter (PM) is inherently small, you may not be able to tell the difference between air that’s relatively “clean” and air that is loaded with pollutants. PM 2.5 are fine inhalable particles that can get deep into your lungs, and unfortunately, we have no established limits for PM in indoor air. So what can builders and homeowners do to create healthier indoor air? Terry Brennan and Lew Harriman (truly Renaissance building scientists) will discuss the fine art of filtration, from central HVAC systems, to “fresh” air ventilation systems, to portable air cleaners. They’ll share some of the most current guidance from EPA on both indoor and outdoor sources of PM, and they’ll paint a picture of a well-designed filtration strategy and its potential impact for the occupants. They’ll also discuss the latest filtration requirements and advisories from EPA’s Indoor airPLUS Program and the opportunity it presents for builders to add a comprehensive IAQ label to their palette. As we build tighter homes to meet net zero energy requirements it is essential that they are also durable, safe and comfortable. This session will identify the most important IAQ challenges in new, energy efficient homes based on lessons learned from recent field studies, including an LBNL study of ventilation and IAQ in 72 mechanically ventilated. We will discuss source control, effective kitchen ventilation, efficient air cleaning and filtration, humidity control, and occupant education. We will show how the potential application of smart ventilation systems can save energy and help with utility-scale demand response while also improving IAQ. This will include the latest information on IAQ sensors & monitors: what they can do right now (and what they can’t) and what is coming in the future. With so many certifications for High Performance Homes (HPH) it is becoming more difficult for single home builders to have the basic skills to build a HPH. Many builders want to understand best practices with out having to go through an extensive certification process. This session will show simple best practices that are the foundation of building practices that will lead to a zero energy home. Included is the history of HPH from 6,000 years ago Chinese building practices through Greek and Anasazi designs. Using the basic criteria of orientation, air sealing, insulation and in-door air quality, the session will follow the construction flow, showing how using the right steps at the right time a HPH can be built cost effectively. Included wil be cost analysis of how a HPH's savings can pay for solar which in turn will pay for an EV charging station when all are included in a 30 year mortgage. Many builders have the impression that constructing a net zero energy home is far beyond their reach, requiring too much money or too many complicated technologies. However, innovative builders in the U.S. Department of Energy’s Zero Energy Ready Home Program are showing that getting to zero isn’t rocket science, just good building science that combines common construction techniques done right with off-the-shelf equipment and materials and a touch of ingenuity for easy, affordable solutions to zero energy ready home construction. This presentation provides a compilation of the techniques used by award-winning builders in DOE’s Zero Energy Ready Home Program to achieve HERS scores of zero and lower. The presentation shows several specific examples of techniques developed and used by builders as they strive for zero energy ready homes. Construction methods used in Zero Energy Ready homes are compared with those used in just-to-code new homes and existing homes for key components like wall assemblies and HVAC systems. The path to zero offered by the DOE Zero Energy Ready Home program is described with overviews provided for national and new California-specific criteria. This PechaKucha will be held as our closing plenary featuring some of the Race to Zero students, who will present their winning designs and show how they will become the next generation of building science professionals through designing zero energy ready buildings.